The European Central Bank says it is leaving its interest rates on hold as expected. The ECB says confirms that net asset purchases are kepy unchanged at 60 billion euros per month. It says the governing council expects the key ECB interest rates to remain at their present levels for an extended period of time and well past the horizon of the net asset purchases. It says net purchases are made alongside reinvestment of the principal payments from maturing securities purchased through the programme. 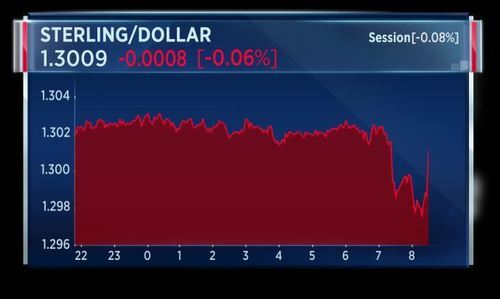 The euro recovered to session highs during Mario Draghi's press conference. Showtime for the ECB. Investors want to know whether Mario Draghi will signal when the bank could pull back on its bond buying programme, but he is expected to tread carefullly to avoid a market fallout. Flashback to the dotcom heyday. 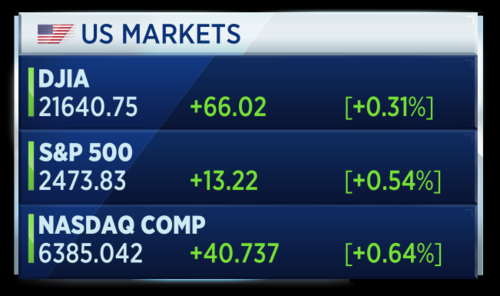 Record closes for U.S. stock indices, including the S and P tech index, finally topping its high, 17 years later. Strong signals. T-Mobile's quarterly numbers blow past estimates, as the wireless carrier gobbles up market share from its bigger rivals. Raise your right hand. Donald Trump Junior, Jared Kushner and former campaign manager Paul Manafort, all called to testify, about alleged campaign ties to Russia. Last night the S&P 500 rose 0.5 percent and hit intraday and closing records, with energy rising more than 1 percent to lead advancers. Vertex Pharmaceuticals led the index higher, rising 21 percent. The Nasdaq composite advanced 0.6 percent and also notched record highs. The Dow Jones industrial average rose 65 points to notch a record close. Later today the earnings season remains in full swing in the U.S.
President Trump has called on Republican Senators to get back to work on a plan to repeal and replace Obamacare, before leaving DC for their August holiday. This as a new report from the CBO showed 32 million Americans would lose health insurance if the plan is repealed without a replacement. Trump's back is against the wall on his healthcare plan but he is putting on pressure to get a deal done. 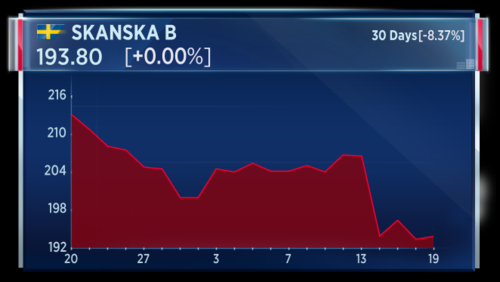 The Swedish construction firm Skanska has reported first half revenues of 79.1 billion Swedish crowns giving earnings per share of 7.35. 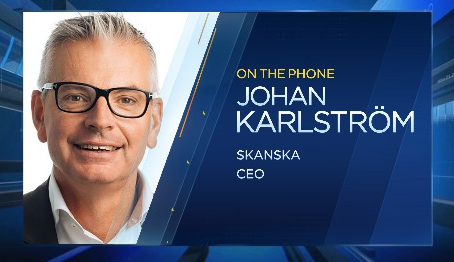 Joining us on the phone from Stockholm is Johan Karlström, the CEO of Skanska. Last week Skanska issued a profit warning after revealing around £33 million in writedowns at its UK unit. The Stockholm-based construction giant said the UK writedowns were due to “lower-than-anticipated production rates, projects being delayed with estimated penalties and multiple customer-driven changes, which have caused cost overruns”. Karlstrom says the warning relates to just a few projects and its UK division will be profitable going forward. 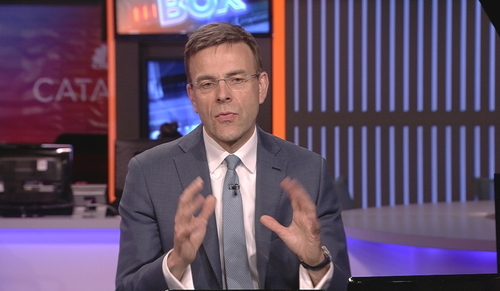 Reinhard Cluse, Chief Economist for Europe at UBS is today's guest host for TV. 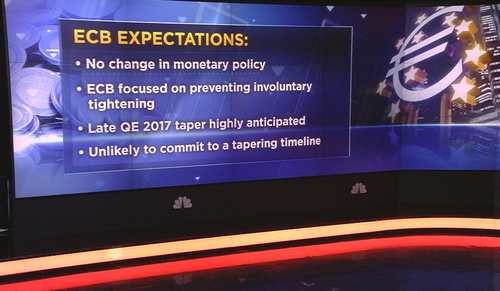 On the ECB meeting today, Cluse says he expects Draghi to prepare the markets for a tapering decision in September and that tapering is likely to begin in January 2018. He says Draghi will do his utmost to be clear and avoid rattling markets as the central bank leader is very concerned about a sudden rise in the euro and bond yields. 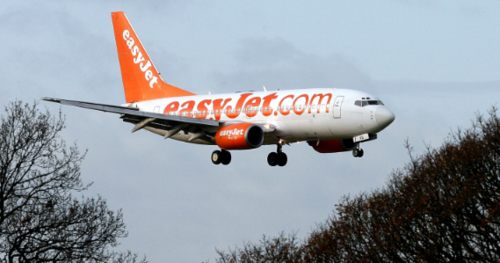 easyJet has reported a trading statement which reveals a fiscal third quarter revenue of £1.39 billion, up 16 percent. The firm said it carried 22.3 million passengers across the quarter, a rise of 10.8 percent. Revenue per seat, a key metric for the sector, rose 2.2 percent. Givaudan has beat expectations, posting a 4.5 percent rise in first half net profit. The Swiss fragrance and flavor maker said it continues to pass on price increases, to compensate for cost inflation of raw materials. Gilles Andrier, CEO of Givaudan says his firm is adapting to the world's greater desire for natural flavors. 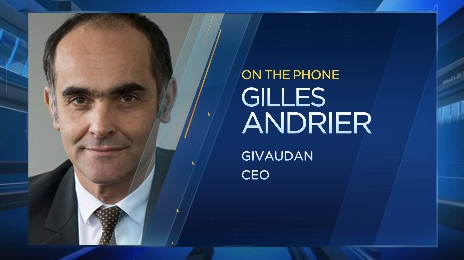 Gilles Andrier, CEO of Givaudan says emerging markets have actually been flat compared to last year but in mature markets growth has been strong. He notes that Africa is an exception to this where sales have been strong. Andrier says the firm has restrained costs in order to hit profit targets. 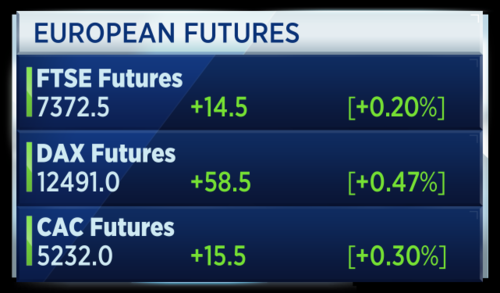 European futures suggest a positive open for markets in just under 30 minutes. Earnings this morning appear to be supporting stock prices on average. 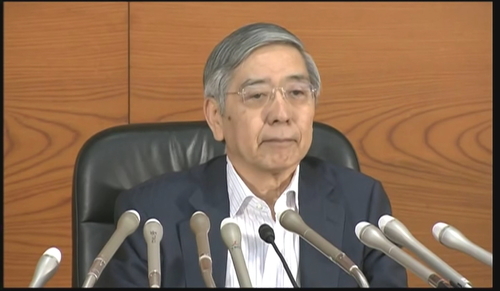 The Bank of Japan Governer Kuroda is giving a press conference following his bank's earlier decision to keep monetary policy steady but lower inflation forecasts. The central bank now expects to reach its 2 percent target by March 2020, later than previously projected. The move could signal the BOJ is going to scale back its stimulus program later than other major central banks. In the conference, Governor Kuroda has said economic growth in 2019 will slow slightly because of a schedule sales tax hike and capital expenditure levels. 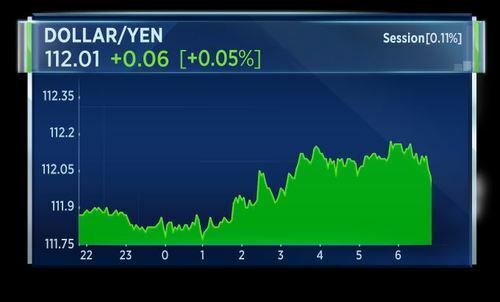 Kuroda also said there is a risk to prices and the Japanese economy is tilted to the downside. 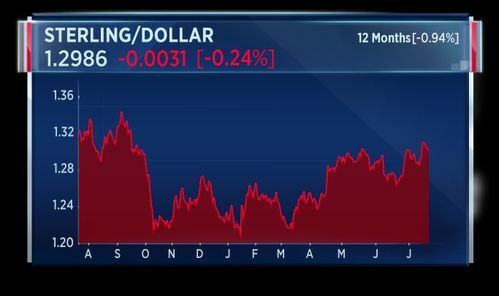 Kuroda says central banks in U.S., Europe have also pushed back their inflation forecasts. 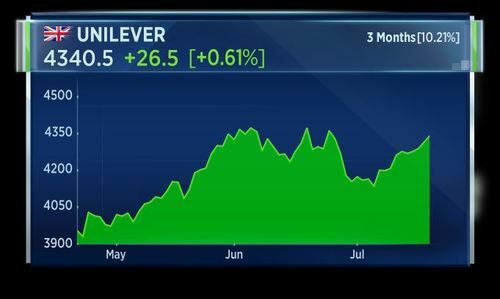 Unilever says its full year sales forecast is on track as it raised its margin expectations. This after reporting second quarter earnings broadly in line with analyst forecasts. Moments ago, Gemma spoke to the CEO about the numbers and the company's portfolio expansion. Polman said topline growth of 3 percent was a very strong result, driven largely emerging markets. The CEO added that volume has fallen in the sector and believes Unilever is ahead of its competitors. He says the volume component should rise again over the next 6 months. On portfolio optimization he says all companies have different strategies. We have been very fortunate with recent acquisitions over the last 6 months. Dollar Shave Club would be a very good example with growth in the double digits. 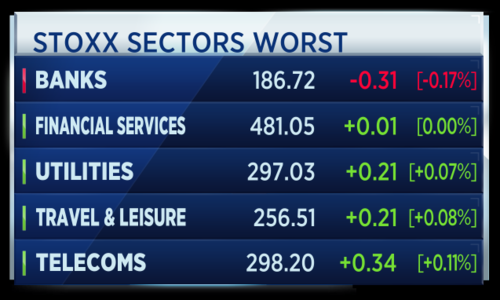 Only financials in the red as we look at the sectors breakdown. 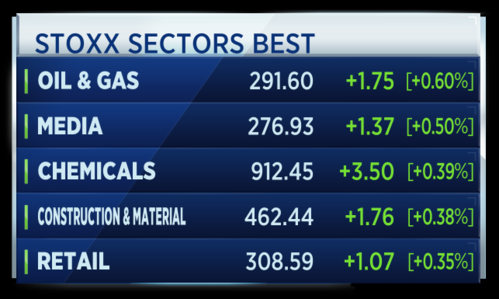 Oil & Gas performing strongly despite almost no movement in crude prices this morning. ABB posted second quarter earnings that fell short of analyst estimates. 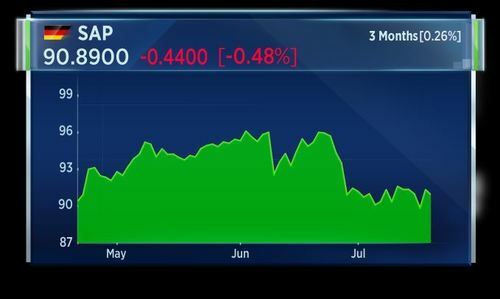 Rising costs in SAP's cloud services business depressed its quarterly operating profit, which came in below expectations. However, the German software firm's revenue for the second quarter rose 10-point-4 percent, beating forecasts. SAP expects to meet its full year targets. 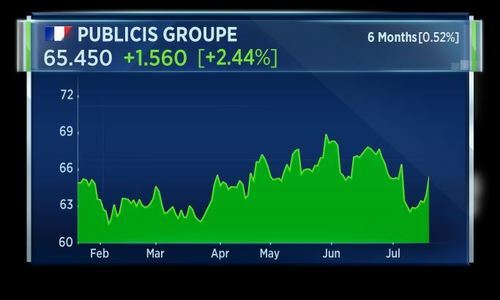 Publicis Groupe results for the second quarter have been boosted by improved performance in its North American business. The advertising giant rallied with a rise of 0.8 percent in underlying sales. Net profit rose 1.6 percent in the first half. The improvement comes after a broad reorganization of its business. 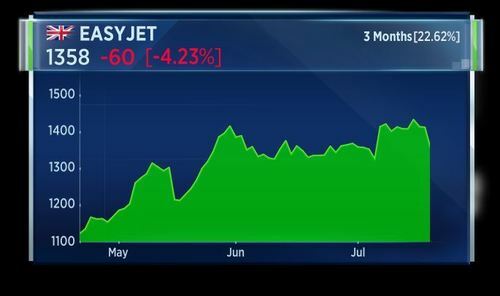 Shares in Easyjet continue to slip as ongoing revenue pressure weighs, despite the carrier lifting its profit outlook on a better than expected third quarter. The European Court of Justice is assessing whether to allow a class action lawsuit against Facebook. Austrian privacy activist Max Schrems and 25-thousand other global users are suing. Schrems wants 500 euros in damages for each user, alleging privacy violations through Facebook's use of personal data and user tracking. Facebook says it looks forward to presenting its case, noting Schrems' claims have been rejected twice before. 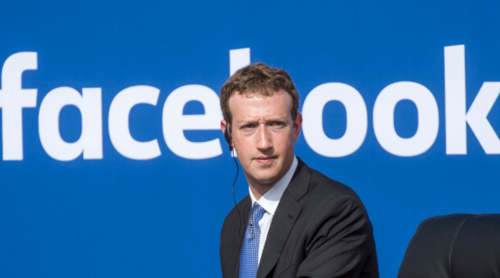 Facebook says it is "looking forward" to going to court. 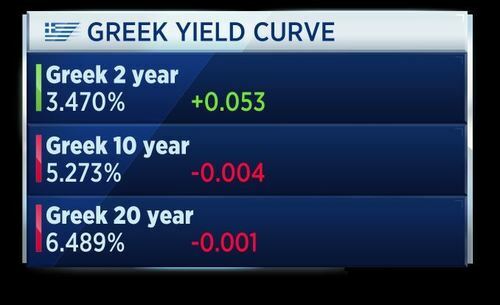 Greek government bond yields rise after IFR reports six banks hired to manage new debt sale. A source told IFR that Greece has mandated Bank of America Merril Lynch, BNP Paribas, Citigroup, Deutsche Bank, Goldman Sachs and HSBC for a five-year trade. That's according to IFR. 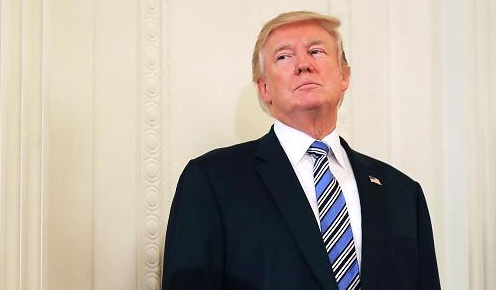 President Trump has demanded senators stay in Washington through their August recess, until they reach a deal on a health care overhaul. Trump gathered GOP senators for lunch after the latest bill to repeal and replace Obamacare collapsed earlier this week. This comes as a new report estimates 32 million Americans would lose health insurance, if senators repeal Obamacare without a replacement. 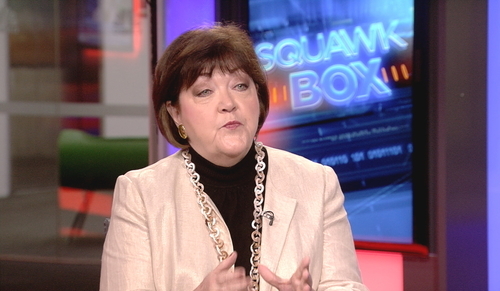 Mary Jo Jacobi, Former US Assistant Secretary of Commerce says Trump and Obama both made mistakes by letting the House of Congress and Senate put a healthcare plan together without outside input. Jacobi says Trump is a Republican and mid-term elections will see senators recognize his continued solid support among the base. 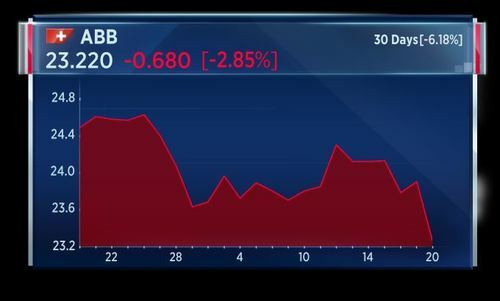 Engineering giant ABB underperforms the rest of the Swiss market, after posting weaker-than-expected second quarter profit, despite a strong performance in its robotics division. Investors dial into Deutsche Telekom, after its U.S. subsidiary T-Mobile blows past estimates, adding more than a million customers in the latest quarter. 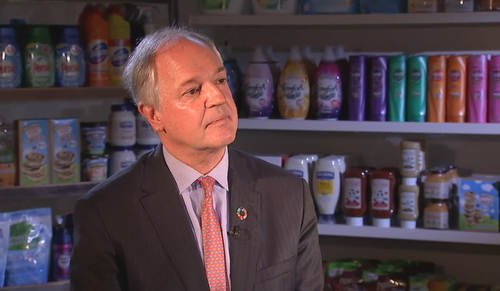 The CEO of Unilever tells CNBC he is not worried about deals competitors like Reckitt Benckiser are striking, as the maker of Dove Soap and Hellman's mayonnaise celebrates improved margins in the first half. UK government to make a statement to Parliament on Thursday on the proposed Fox-Sky merger, that's according to the Labour party. Steve Clayton, Fund Manager of the HL Select funds commented on Unilever’s half year results. Unilever is the largest position in the funds, approaching a 5% weight. Volume growth is still hard to come by, in today’s world of lacklustre economic growth, but Unilever’s strength in emerging markets is allowing it to push revenues forward through pricing gains. Overall, these numbers look to be ahead of where analysts thought the group would be due to strong margin expansion. 3% underlying sales growth in the first half should pick up further in the second half as the results of recent acquisitions kick in. Meanwhile, after coming under intense pressure following the Kraft Heinz bid approach, Unilever’s redoubled efforts to raise margins are paying off. Cost savings of over a billion euros were achieved in the half year, with another €5bn planned in the medium term. Unilever look well set to hit their target of a 20% margin by 2020. Kraft Heinz may have gone away, but Unilever know they cannot relax and investors expect them to raise their game. The Connected 4 Growth programme is designed to drive margins forward, whilst their €5bn buy-back programme should keep EPS moving ahead of underlying profit growth. The dividend increase of 10% shows the company’s confidence in its future prospects. Unilever has a well-established track record of delivering compounding growth in earnings over the long run, and an acute focus on upping the ante in the near term.